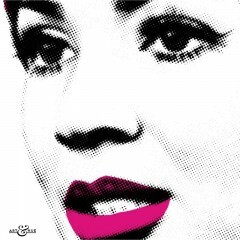 Shirley Bassey pop art print, part of the “Songbirds” pop art collection. 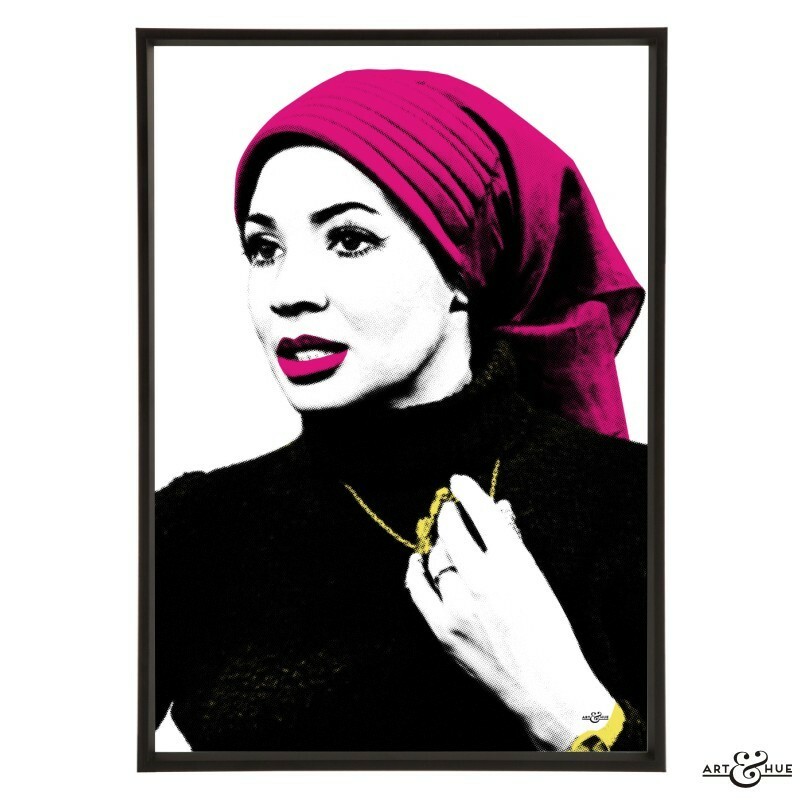 Dame Shirley Bassey looking beautifully thoughtful in this stylish pop art print and, like Dame Joan Collins wrapped in a towel, can look stunning whatever she’s wearing, even a simple 1960s headscarf. Dame Shirley Bassey has the unique distinction of singing more than one Bond theme, in fact performing three – Moonraker, Diamonds Are Forever, and of course the bombastic Goldfinger. All composed by John Barry, Goldfinger was written by Barry with lyrics by Joan Collins‘ husband at the time Anthony Newley. Packed full of powerful brass, the song ended on such a long note that it was reported that Shirley nearly fainted to sustain it during recording. 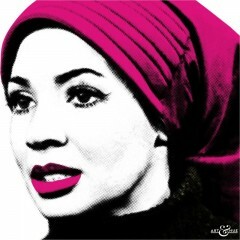 Renowned for her glamorous outfits and idiosyncratic hand movements, Dame Shirl had her own prime time entertainment show on BBC1 during the 1970s and she continues to appear in TV specials, as well as wowing the crowds in concerts and guest-appearances, stealing the Glastonbury festival in 2007. Now a resident of Monaco, like the late Sir Roger Moore, Bassey is originally from Tiger Bay in Cardiff.